Cisco is keeping its catalyst switching update. You Should Know about the Cisco Catalyst Switching Update. Definitely, Cisco’s Campus LAN switches are the top choice for users who want to set up the better and safer Enterprise Networks. 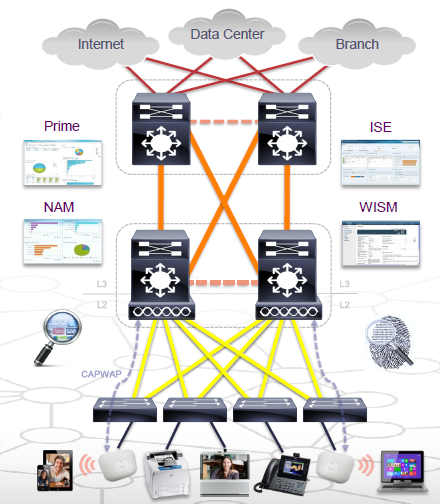 There are so many optional Catalyst switching platforms for enterprises, organizations and campuses. Which one will be the most suitable for your enterprise network? Let’s do some analysis to help you make a smart decision. In the Catalyst switching update, Cisco’s solutions for the Campus Network Architecture is more important. No matter what updates you need, you should know some tips like this as follows. 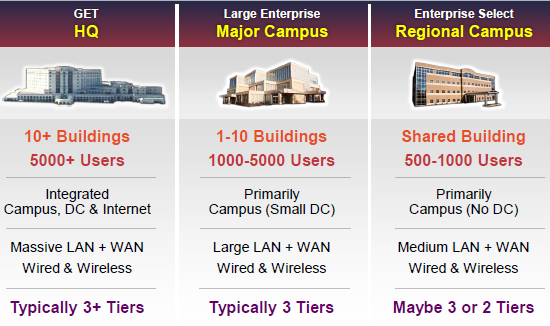 Well, let’s have a simple look at the deployment of a Campus network. 2. Campus integrates Wired & Wireless access: The Campus connects devices used by employees over both Wired & Wireless Ethernet, and also provides capabilities such as Power Over Ethernet (POE). For example, a Laptop or Smart Phone may connect to a Wireless AP, powered by POE, which connects to a Wired Campus Switch. 3. 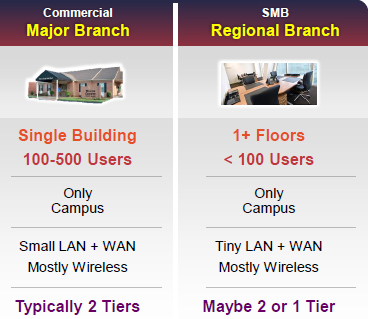 Campus is where USERS access the network: The Campus connects devices used by employees such as Desktop Computers, Laptops & VOIP phones and communicates with network resources such as Printers, Projectors and Voice & Video Endpoints, and also provides access to the Data Center, Branch Offices and the Internet. There are also more Campus Multi-Tier Models you can check out while considering the network design. Different campus types have different needs. One size does not fit all, right? We just listed the Fixed and Modular Switching Products. You can see that the new Cisco 3850, catalyst 6880-X and 6807-XL switch. All of them are the full-featured catalyst switches that meet the demands while upgrading. Which one is right for you? These questions may give you the answer. What’s the purpose of the new switch? Of course, it’s backbone. If you have a Cisco 6500 non-E series before and you want a upgrading, the Cisco Catalyst 4500E (Supervisor 8-E) and Cisco Catalyst 6500-E (Supervisor 2T) are the choices when your connectivity needs is 1/10 Gb. You can choose Cisco Catalyst 6500-E (Supervisor 2T) or full-featured Cisco Catalyst 6807-XL when your connectivity needs is 1/10/40/100 Gb. If you want to upgrade a Cisco 6500-e without Supervisor 2-T, 1/10 Gb need you can choose the Cisco 4500-E (Supervisor 8-E), and Catalyst 6500-E (Supervisor 2T), 1/10/40/100 Gb need you can consider Cisco 6500-e (Supervisor 2T) and the new Catalyst 6807-XL. If you have other backbone switch such as Catalyst 3750, 45xx Series, 1/10 Gb, standalone choices are Catalyst 3850 Fiber and Catalyst 4500-X Series, 1/10/40/100 Gb need you can get one more option: the Catalyst 6880-X. If you need 1/10/40/100 Gb and modular one, your selections are Catalyst 6500-E (Supervisor 2T) and Catalyst 6807-XL, 1/10 Gb and modular one are Catalyst 4500E (Supervisor 8-E) and Catalyst 6500-E (Supervisor 2T). Selecting Cisco Switches, For Campus or Branch?